I know it´s late for September Favourites and I only have a few, but I though I would share them with you anyway. I still use a lot of the same things mentioned in previous months, but I have a few new products that I have been enjoying using. Enter the Too Faced Natural Eyes Palette, review here, I used it everyday since the day I got it! I Love it! 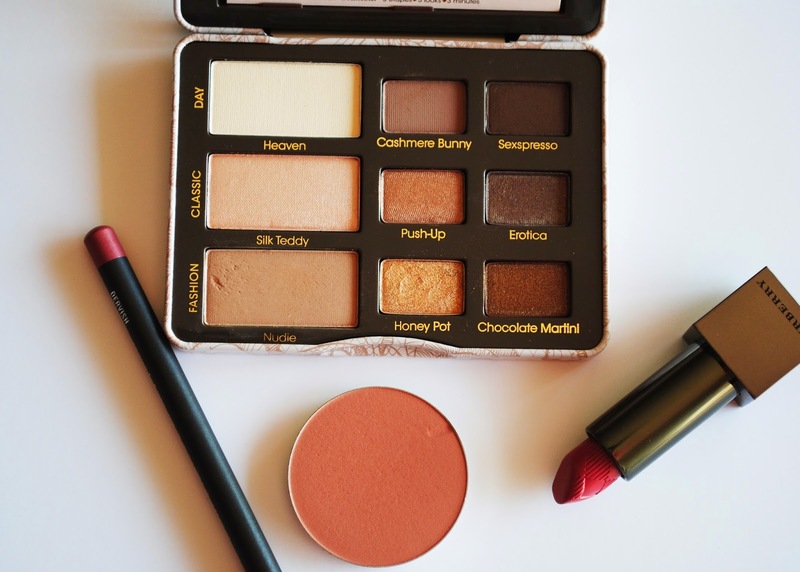 In September I started using blush again, and I have been loving Mac Gingerly, it´s just such a lovely peach colour. And finally for lips I have been lining my lips with Mac Dervish Lip Liner and for lipstick I have been using Burberry Lip Cover in Blush No.09, because it´s a much darker pink then I´m used to I put it on and then blend it in, it just gives a natural your lips but better colour. What did you love in the month of September?